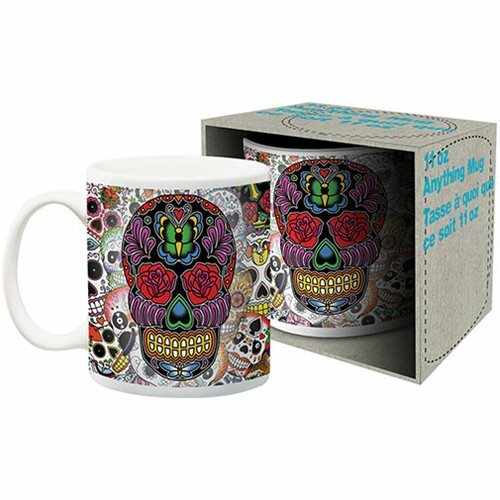 Shopping for Day of the Dead Mugs? That is one colorful mug! Themed to Day of the Dead Mexican holiday, this fascinating Sugar Skulls 11 oz. Mug features bright colors and calaveras (sugar skulls) against a white background. Dishwasher and microwave safe, the mug comes packaged in a display box. Ages 14 and up.